Since loan program guidelines change constantly, please call our office directly for more clarification. 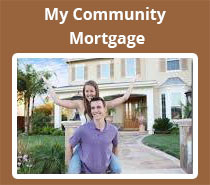 If you don’t meet the loan requirements of the My Community Mortgage loan program, don’t worry we have plenty of other loan programs to suit your needs and your families. Remember: We make lending easy so give us a call.